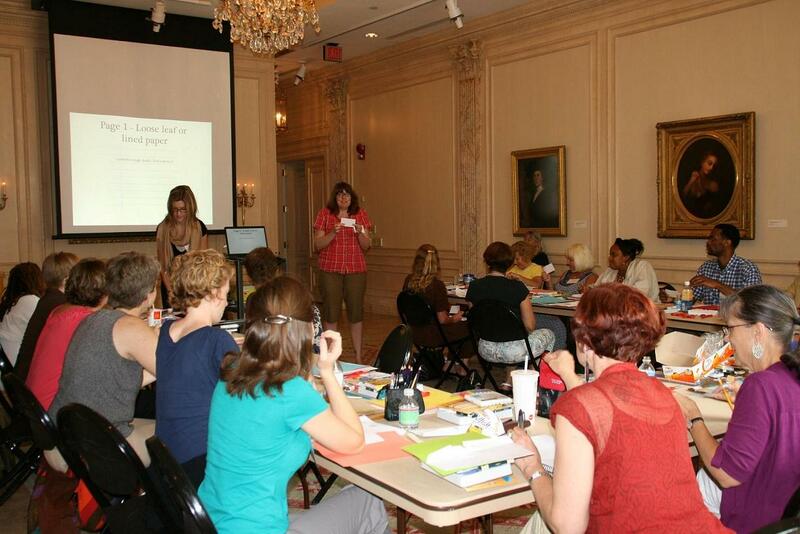 This week, 21 educators from the D.C. Metropolitan area have gathered at NMWA with our education staff for the Art, Books, and Creativity Summer Institute. 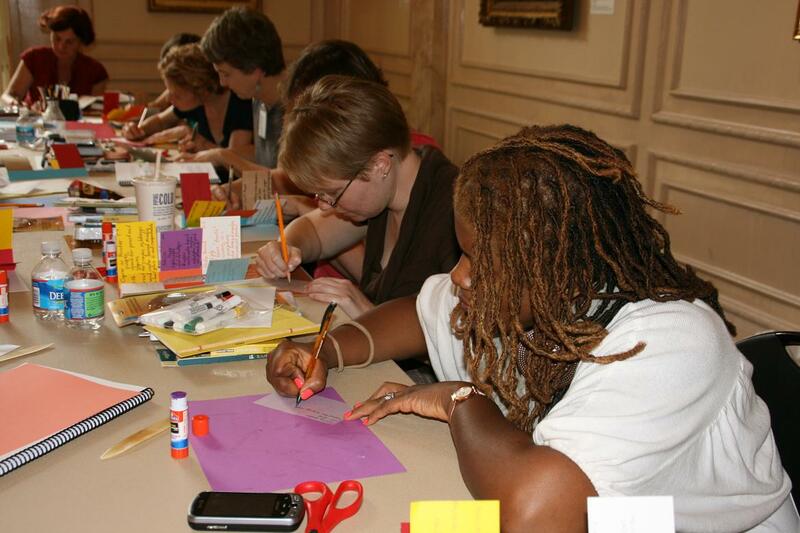 This hands-on course introduces educators, with or without a visual arts background, to techniques and materials that will support their efforts to integrate the visual arts into their classrooms. 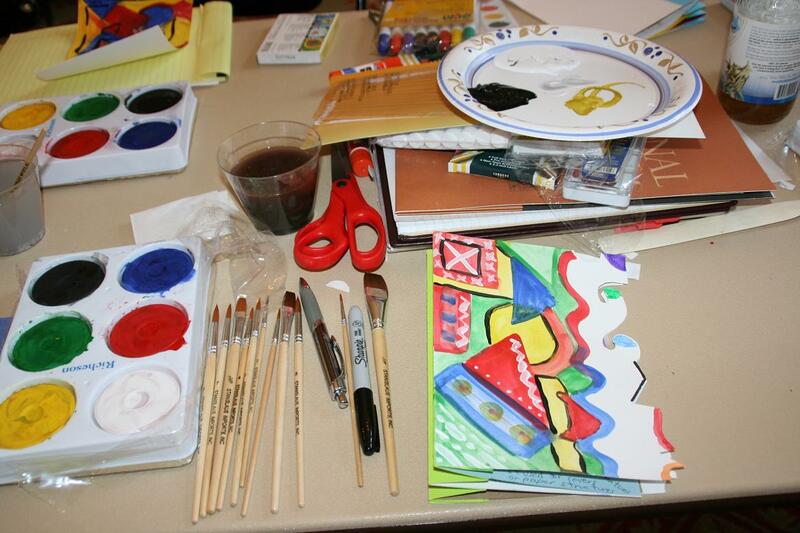 Course content centers on Art, Books, and Creativity (ABC), a free arts integration curriculum developed by NMWA. ABC highlights the natural connections between visual arts and language arts and fosters students’ critical thinking and writing skills. Created for fourth-grade classrooms, ABC can be adapted for use by grades three and up. The course also explores online resources that provide additional, on-going support for arts integration. 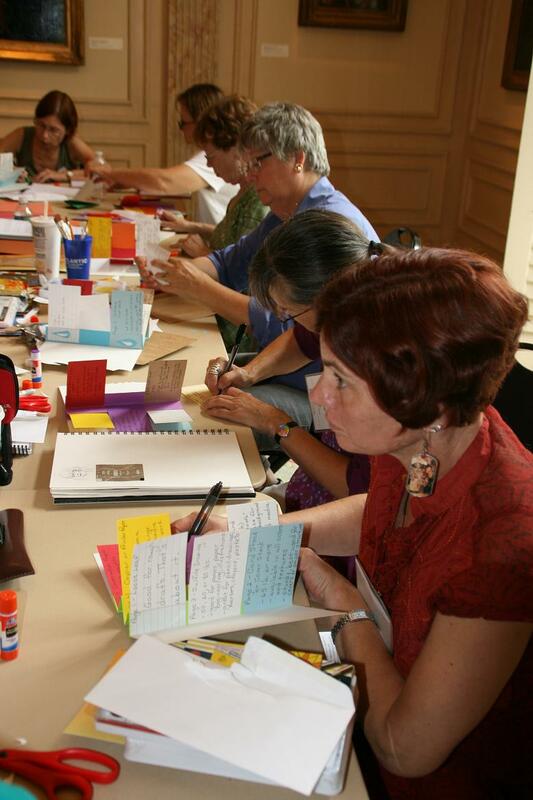 Participants will create a portfolio of artist’s books and writing samples as models for classroom lessons; learn the basics of Visual Thinking Strategies (VTS), a method for facilitating discussions about art; and develop ways to adapt, differentiate, and integrate the ABC curriculum in their classrooms. Yesterday, the participants were introduced to the ABC curriculum, learned how to make a rubber-band journals and flag books, and had a writing lesson. Today, the teachers are already busy learning about VTS by discussing images in NMWA’s collection. Check back in later to see what the educators have been up to and what they learned from this important workshop! This entry was posted in Education by Women in the arts. Bookmark the permalink. ….I like this …so very beautifull all..
Bravo! I love your concept. What a wonderful opportunity for the teachers. As a teaching artist myself and a firm believer in Arts Integration, I’d love the opportunity to work with your organization. i bought several art books for my kids and they loved it ..